Includes 1 Caster. Fits standard slotted plate 2-3/8″x3-5/8″. 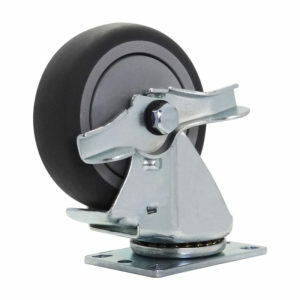 Solid rubber casters for rolling over interior flooring, dirt and grass. 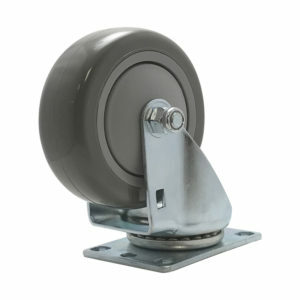 Easy rolling heavy duty 375-pound capacity 6-inch Swivel Caster. 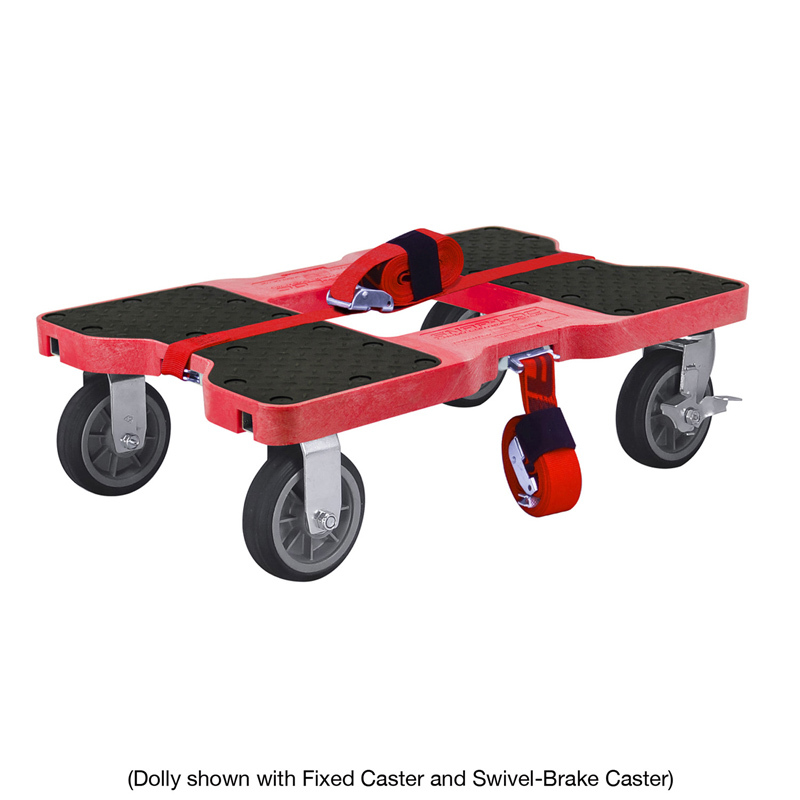 Use on All-Terrains like concrete, dirt paths, rock paths, grass and more. 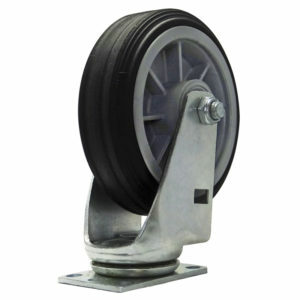 Airless solid 6-inch oversized rubber wheel with a ground contact width of 1-1/4 inch. 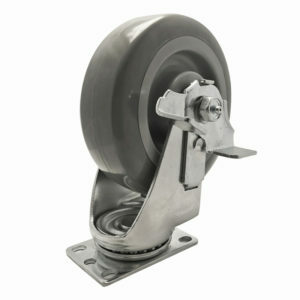 Easy rolling solid rubber 375 lb capacity 6 inch Swivel and Brake caster with standard size 2-3/8"x3-5/8" slotted plate! 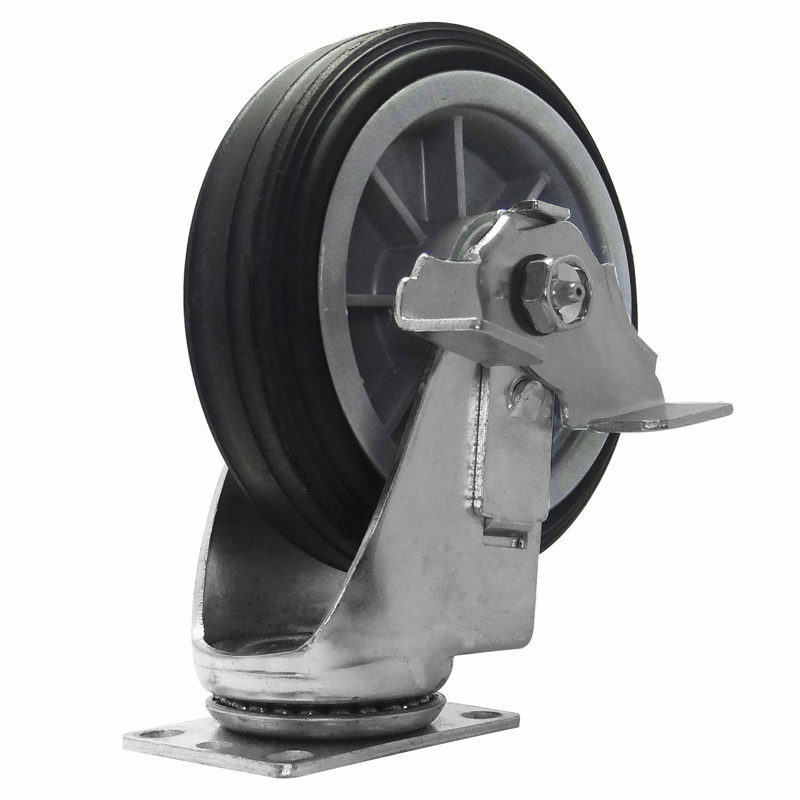 Includes ball bearing construction, solid rubber tires and 1-1/4 inch wide tread with an overall caster height of 7-1/2 inches. 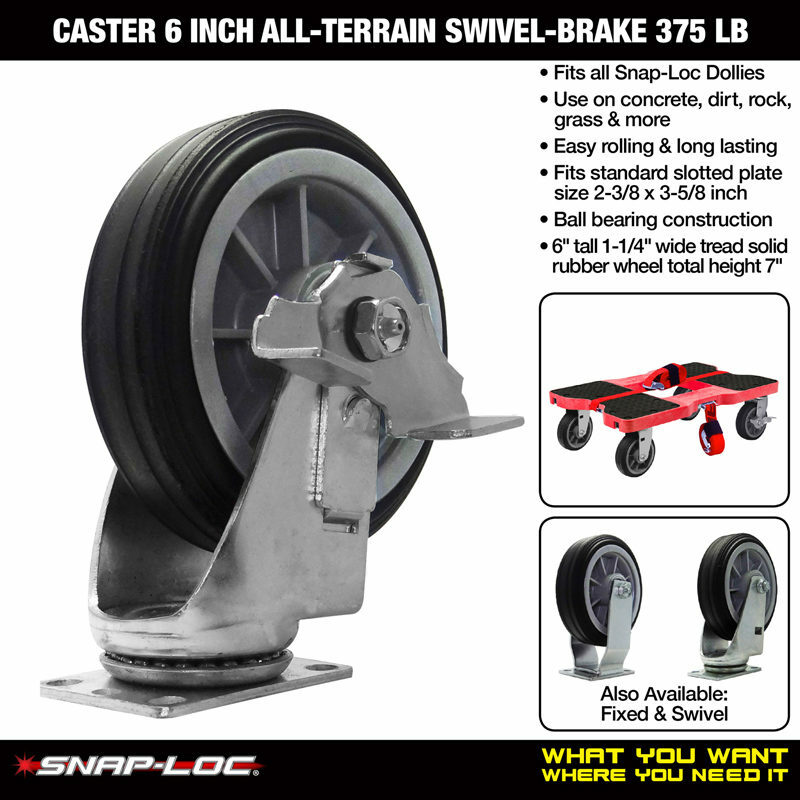 They are the perfect replacement caster for any standard wood dolly and also the Snap-Loc Dolly. 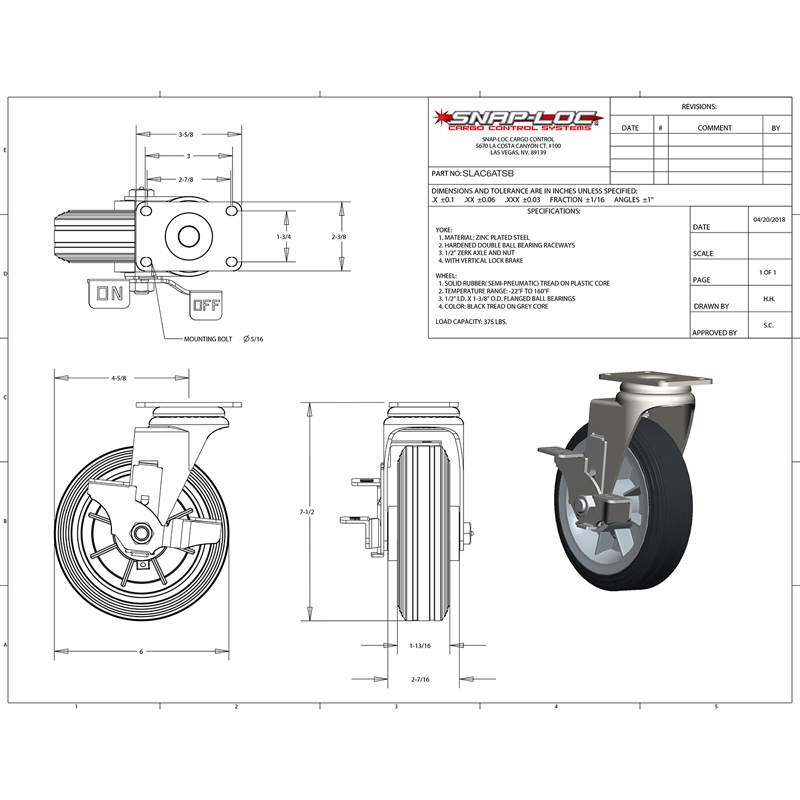 Caster wheels are assembled in the USA!